Although over a year behind on the original schedule, Quadrofoil is ready to move on and deliver on its promises. Their team of engineers took over a year to thoroughly test, review, upgrade and fine-tune the original Q2 prototype, which is now finished and ready for serial production. Some changes have been made in the supply chain as a result of the vessel's improvement. The biggest and most prominent one is the Quadrofoil's very own new electric motor that substituted the standard electric motor they used in the past. During the testing period, Sales Team and the CEO managed to keep the trust and interest of almost all buyers, dealers and partners – also by inviting them to participate at the prototype testing. They also managed to build a framework for new pre-orders and customer service. 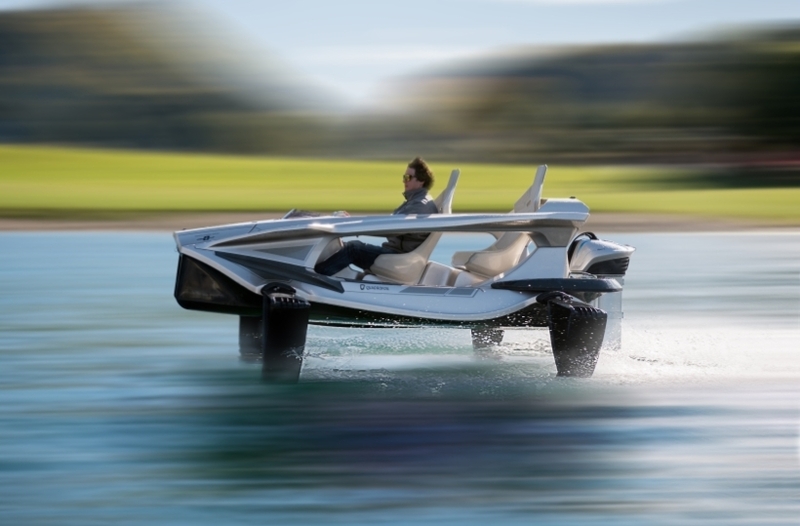 The Design Team supported the engineers with upgrades and presented the future of water-based transportation – the first concepts of the Q4 Electric, a four-seated Quadrofoil. The Marketing Team polished the Brand, upgraded the digital and social media strategy and the Design Team prepared a new website that includes a Q2 configurator, aimed to provide customers with a wider range of possibilities for personalization and submitting pre-orders. Motivated by the team’s successes, the CEO kept the company funded during the prototype testing and finalization period. He also managed to find and purchase land for construction of the future Quadrofoil Headquarters with an integrated R&D and production centre. Company’s reviewed business plan, financial statements, latest product facts and market potentials were compiled into a teaser presentation for investment opportunities with Quadrofoil. The presentation has been shared with ten most interested global investors with a goal to raise the first 60M EUR investor capital. Company has also secured a 1.2M EUR assigned loan from SID – a Slovenian investment and development bank, with a purpose to complete the production of the sold out model Q2S Electric Limited Edition and deliver it to the customers. According to the new plan, the investor pitch should be completed by the end of 2016, whilst deliveries of the Q2S Electric Limited Edition to the existing buyers should start in March 2017.